It is Christmas Eve Eve! Is there such a thing? I don't care, we are just few days from Christmas. Today I want to share one last Christmas card with you. I love this card. I love the simplicity and the vintage look of the card. I hope you have a blessed Christmas with your friends and family. Supplies Used all from Fun Stampers Journey. You can purchase them here. Just a few more days till Christmas. The excitement is building. Today I want to share a card that I had to create. The red truck with the tree has become very popular. 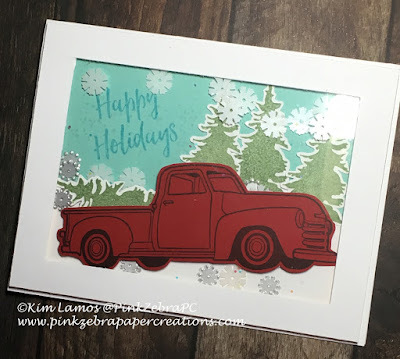 I have a friend that loves the truck and I was able to create a gift for her, where I collected a bunch of red truck stuff. She loved it. 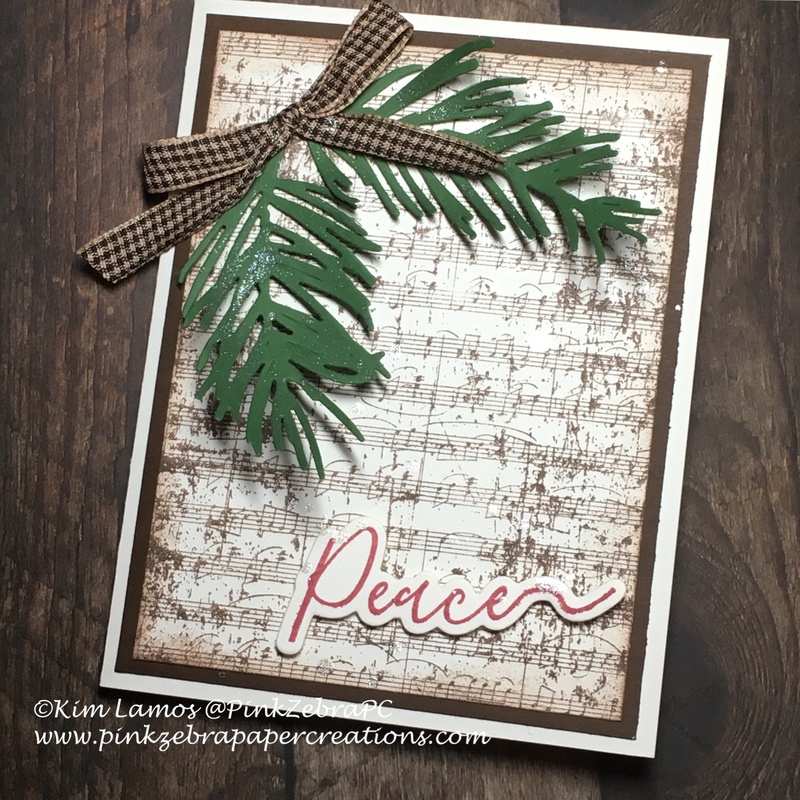 All supplies are from Fun Stampers Journey. You can purchase here. I shared a card a few days ago that I think is my all time favorite card for this year. Today I want to share a card I made with the same set, Winter Scene. The middle scallop piece actually opens also. I little twist on a regular card. You could place a special message or gift card in there. 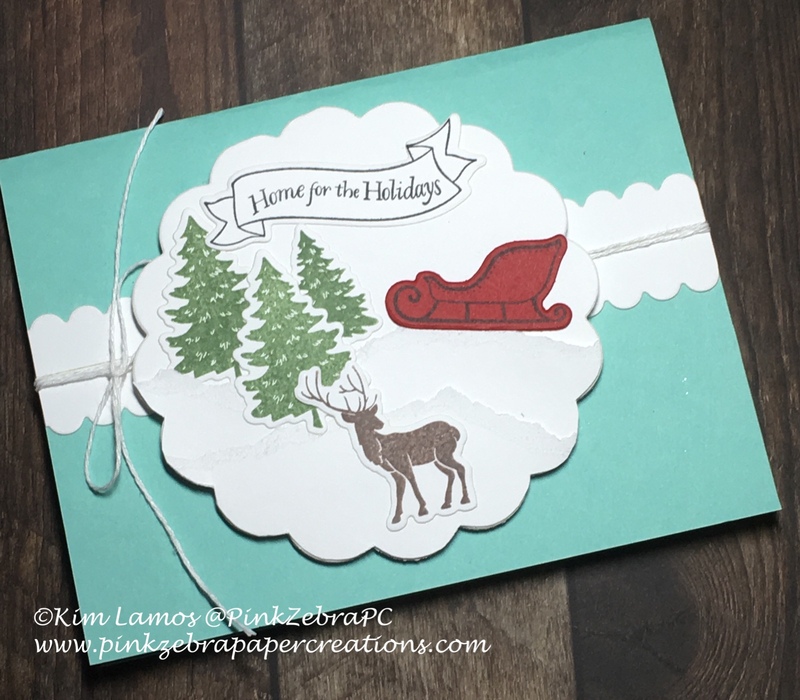 To create a shaped card, you just die cut the shape out of a piece of cardstock that is folded in half. Just make sure that part of the blade of the die is off the paper, thus making the hinge. I am getting excited for Christmas. Each day, we are getting closer to the big day. I had fun with this little set this year. I will share another card I created with this set a little later this week. Supplies Used are all from Fun Stampers Journey. You can purchase here. We are getting closer and closer to Christmas day. Have you finished your Christmas shopping? I haven't. But, I do have a new Christmas card to share. I love this stamp and couldn't wait to use it. A very simple card, but I love the whole feel. 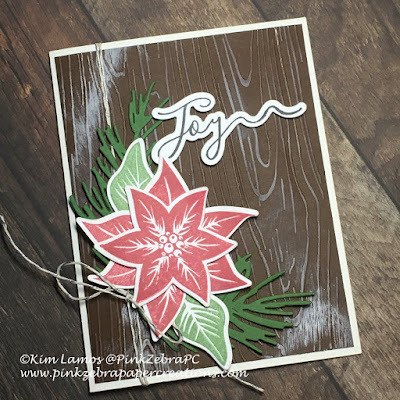 Supplies used from Fun Stampers Journey. He can purchase them here. Today I have a black and white card to share with you. To cut a banner with two colors or papers is really quite easy. When you go to cut the banner, match the two pieces together on the side you want to cut. Then cut up the middle and then corner to top, and corner to top. Then mat the smaller piece on the bigger piece. There you go. A very simple card, but I think that the black and white is a striking combo. Supplies are all from Fun Stampers Journey. You can purchase the supplies here. 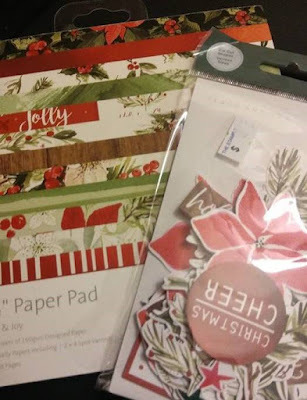 We are getting closer to Christmas and finishing up our last minute crafts. Christmas cards are always my favorite thing to make this time of year. Today I have a simple card to share. The tree is stamped and then I added rhinestones to the different areas. 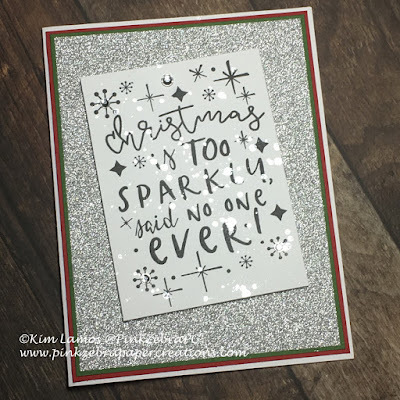 I then flicked Sparkle Silk all over the card, before adding the little Merry Christmas banner to the card. 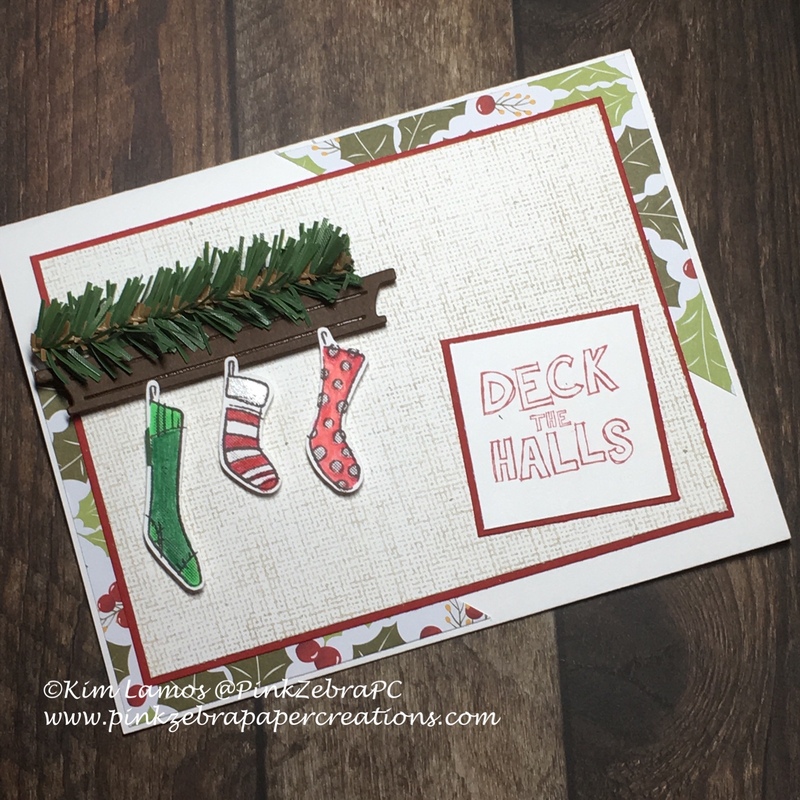 Stockings were Hung Blog Hop! In hopes that St. Nicholas soon would be there! This is a blog hop featuring projects inspired by Christmas Stockings! Each of our projects will have at least one stocking on it. 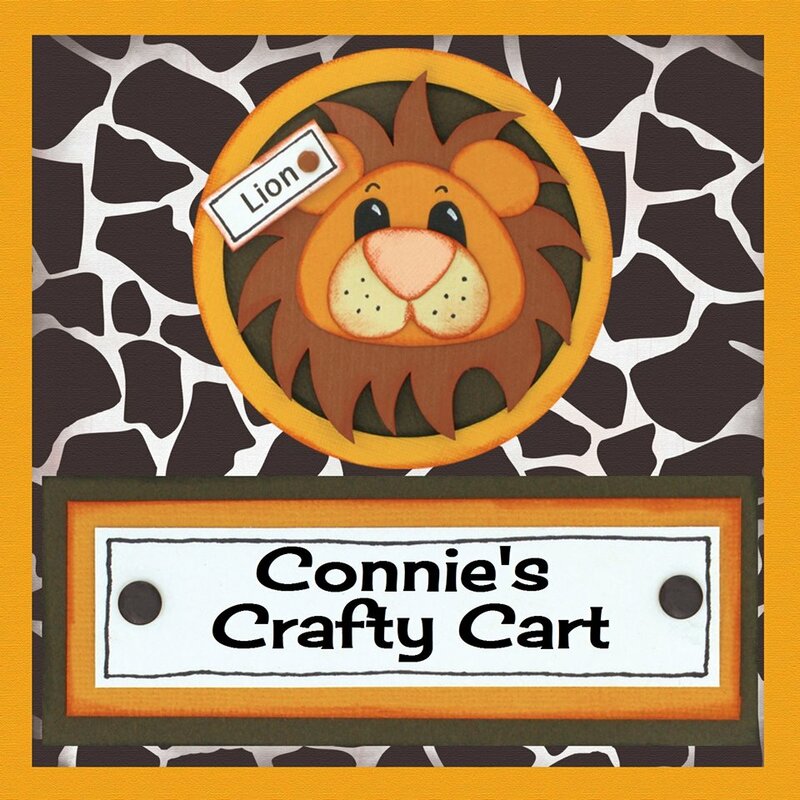 Connie Can Crop is the beginning of this Special holiday hop! Will be giving away this gorgeous Winter mailbox die, glitter tape and fun twine! Winners will be announced on Wednesday 12/12/18 at Connie Can Crop. Now on to the project I am sharing today. I had fun creating this card. Aren't the pine needle garland on the mantle the cutest? I got those at Hobby Lobby. They are Canadian Pine Stems that I just cut to fit the top of my mantle. The mantle came from the Window View Die set from Fun Stampers Journey. It is actually the window sill, but I think it looks great as a mantle. Thanks to my friend Cindy for the idea. All other supplies are from Fun Stampers Journey and can be found here. I hope you found some inspiration. Now be sure to hop over to Sandy's blog. 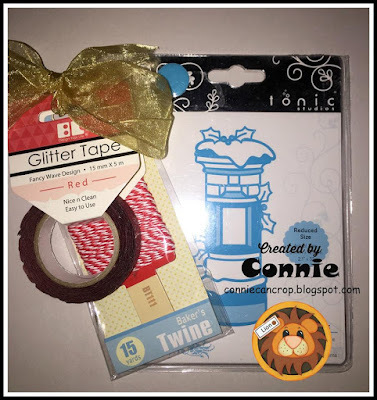 This Magic Moment Disney Themed Blog hop! Thank you for letting us inspire you! 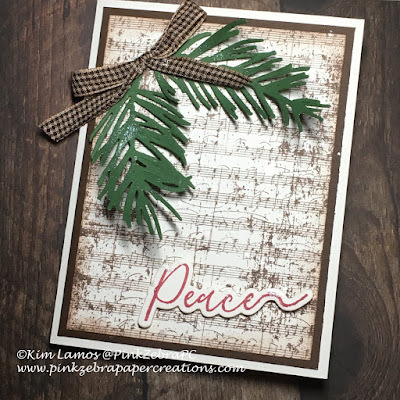 Today I want to share with you a card I created for my most recent card class. I added a swipe of Whip Cream ink over the embossed piece, to bring out the wood grain in the paper. 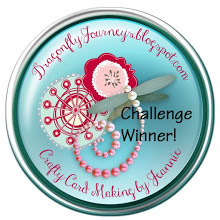 All products used are from Fun Stampers Journey and can be purchased here. 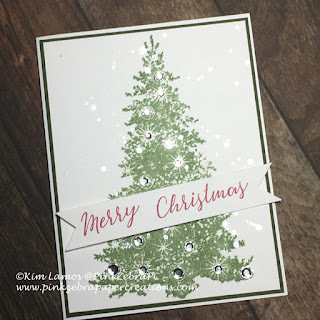 Today I want to share a card I created for a Christmas Card Swap. 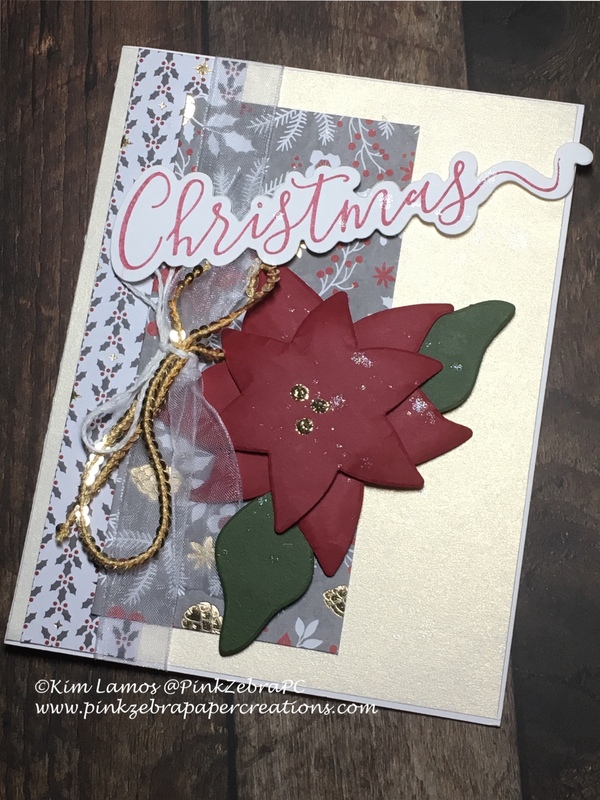 I curled the edges of the poinsettia petals with my crease tool/bone folder. I like the way it gives life to the flower. Sequins. I love them, but they can be hard to tie a bow with. Here is what I did. I tied a knot around the organza bow with Whip Cream Twine. I then looped the string of sequins and then laid it on top of the knot and then tied a knot on top. Then tied the twine into a bow. This is the only way I have figured out how to add a sequins bow. If you have any tricks, please let me know. 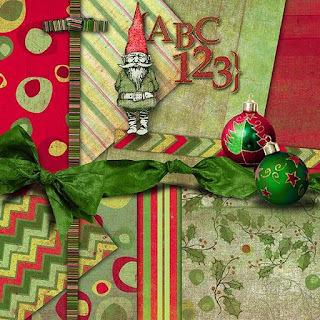 Paper: Cardstock from Fun Stampers Journey, Pattern Paper from DCWV Cranberry Christmas Pad. Dies: Holiday Script and Poinsetta Burst from Fun Stampers Journey. You can get the supplies here. 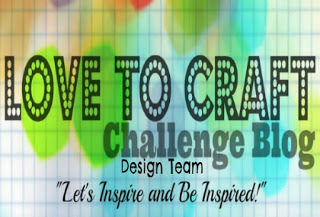 Today is a new challenge over at the Love to Craft Challenge Blog. 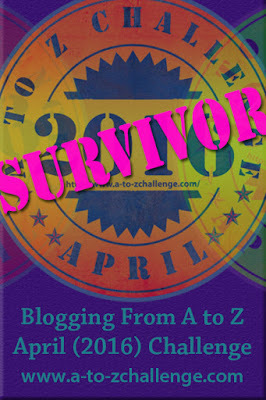 I hope you will join us for the "Anything Goes" challenge. You can go here. I got the pattern for this cute little chocolate box and tag from a fellow papercrafter, Deb Valder. For the specific cutting instructions you can find them here. I hope you have found some inspiration from this project. You can get your supplies here.